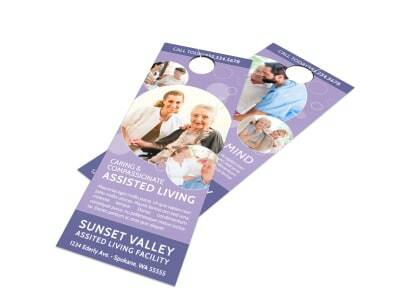 Customize our Assisted Living Door Hanger Template and more! 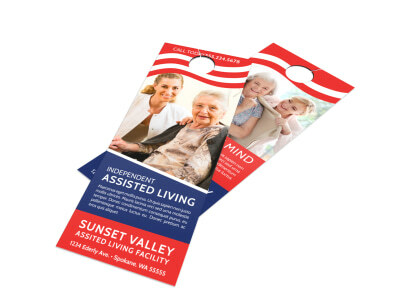 Let families know they have options with this door hanger to promote the invaluable services offered by your assisted living business. 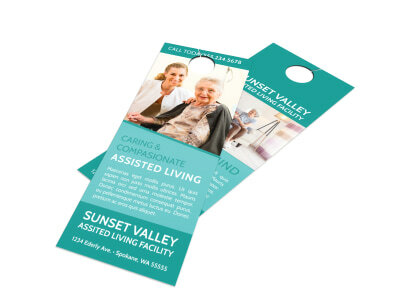 Customize your door hanger with images and comforting text that complement your color theme and other design elements. 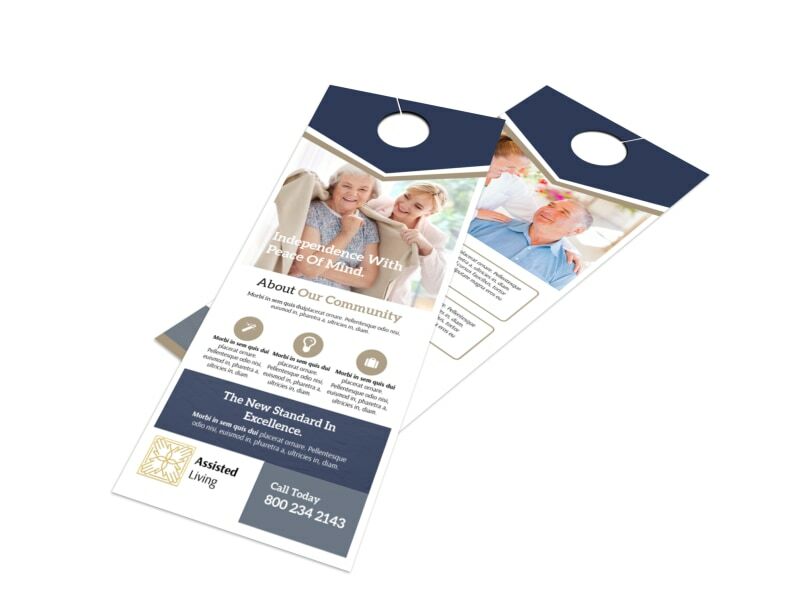 Send your unique design off to our printers when you're satisfied with your work, and allow us to produce a professional product you can share among your community with pride.